Check out this Metal Monster Machine. 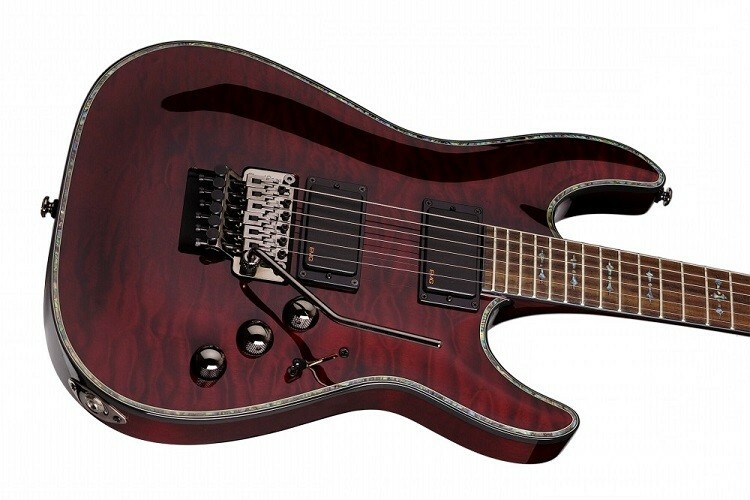 The Schecter Hellraiser C-1 Floyd Rose. 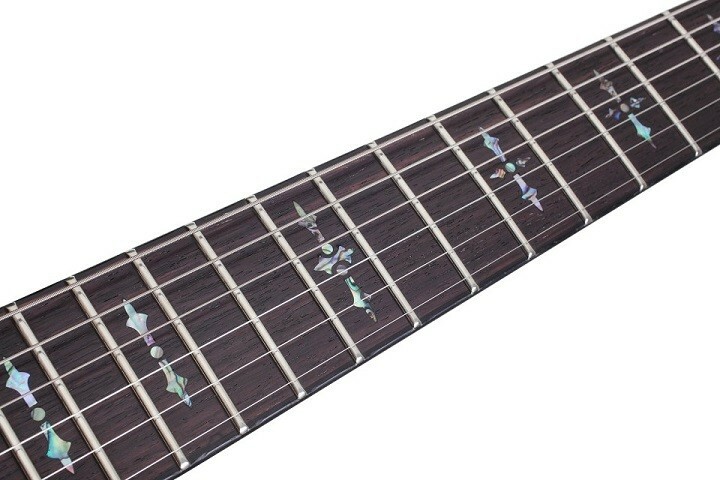 The Abalone Gothic Crosses Inlays really accent the Blacky Cherry finish. The guitar of choice for heavy metal enthusiasts, the Schecter’s Hellraiser C-1 FR features a Floyd Rose 1000 Series tremolo bridge. 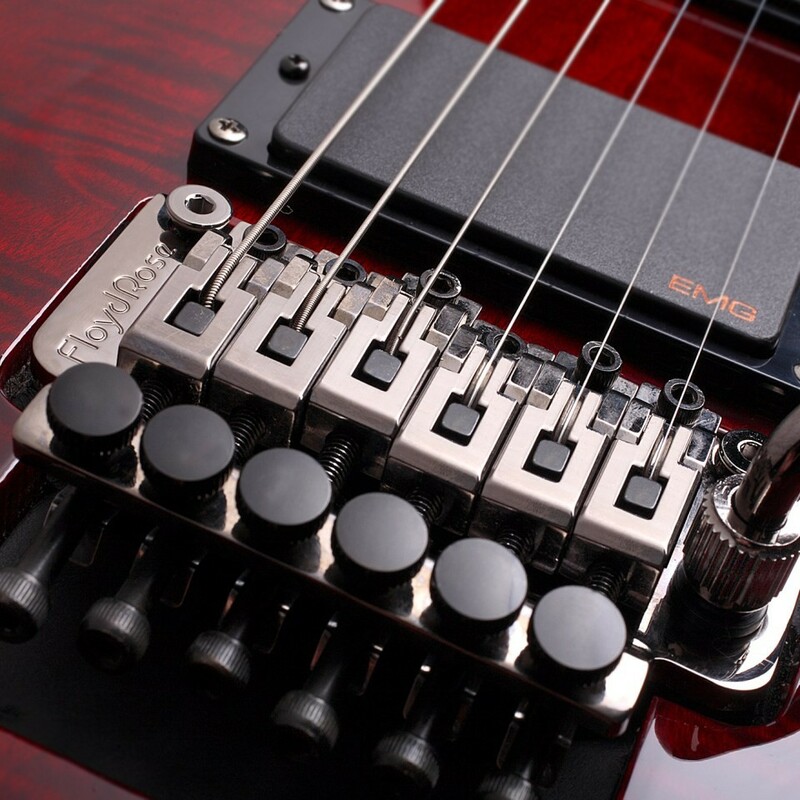 A throw back to the Floyd Rose blade tremolo, the 1000 Series double-locking bridge gives you much-needed stability and tight responses as you bend and pull while rocking out. 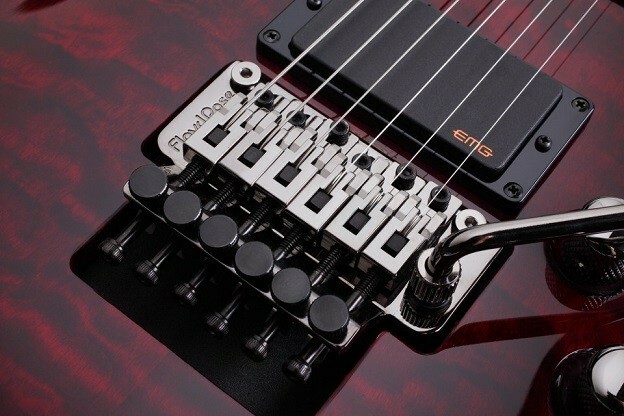 Adding to your aggressiveness and crunch are EMG active pickups. 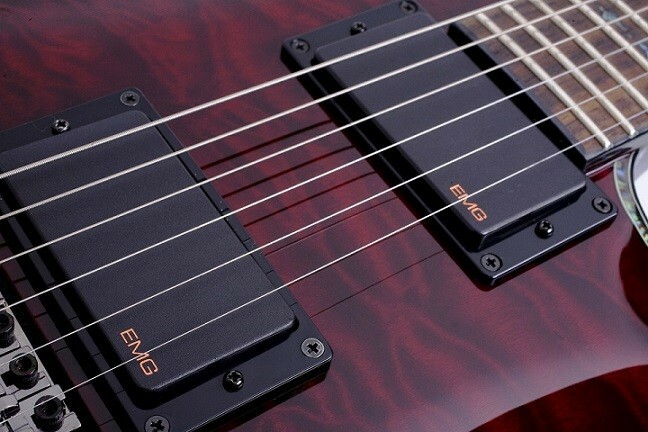 The EMG 81’s dual-mode design delivers fat tones that punch, while the EMG 89 provides separate preamps and custom outputs for its dual-and single-coil modes. A quilted maple top blankets the Hellraiser C-1’s solid mahogany body, producing sweet lows and squealing highs. It’s set, three-piece mahogany neck gives you ultimate playability with the guitar’s “Ultra Access” heel-carve design. 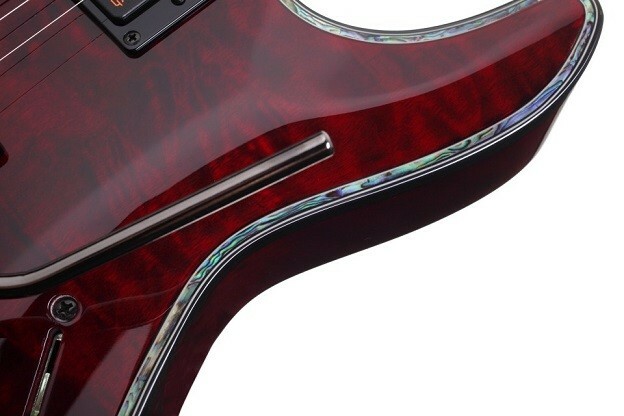 Complementing the Hellraiser’s C-1 beautiful quilted maple top are high-end appointments, such as abalone gothic-style crosses between the jumbo frets on the rosewood fingerboard, abalone binding and black chrome hardware.